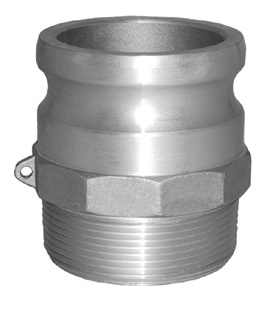 Cam & Groove adapter Part F. Thread side always NPT threads. Available in aluminum, stainless steel, brass, and polypropylene. Sizes 3/4" to 8".